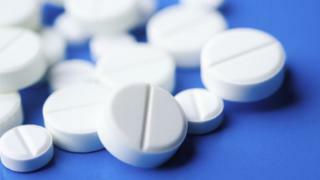 The cost of an NHS prescription in England will increase by 20p to £8.60 from the start of April, the government has announced. Health minister Philip Dunne said prescription charges were expected to rise "broadly in line with inflation". In other parts of the UK, prescriptions are free. The price of dental care will also increase, with the lowest-cost band one treatment rising by 90p and band three treatment increasing by £10.60. Mr Dunne said the cost of prescription prepayment certificates (PPC), which save money for those who need to pay for regular NHS prescriptions in England, would not change. Mr Dunne told MPs: "Existing arrangements for prescription charge exemptions will remain in place, principally covering those with certain medical conditions like cancer, epilepsy and diabetes, pregnant women and new mothers, children under 16 and anyone over 60, and those on a low income." The Department of Health said 90% of prescription items were free on the NHS in England. In 2017-18 a band one course of treatment and urgent treatment will increase by 90p from £19.70 to £20.60. "The maximum band three charge is for the approximately 5% of treatments that include items such as crowns or bridges," Mr Dunne said. A Department of Health spokesman said: "Dental charges have always represented an important contribution to the overall cost of dental services - but we are ensuring that those who are unable to pay, including children, nursing mothers, and those on certain benefits remain totally exempt from charges." He said those who did not qualify for these exemptions could still be eligible for full or partial help from the NHS Low Income Scheme.